The Congress party on Tuesday alleged that the Malayalam actress kidnap case has been bungled by Kerala Police. THIRUVANANTHAPURAM: The Congress party on Tuesday alleged that the Malayalam actress kidnap case has been bungled by Kerala Police. 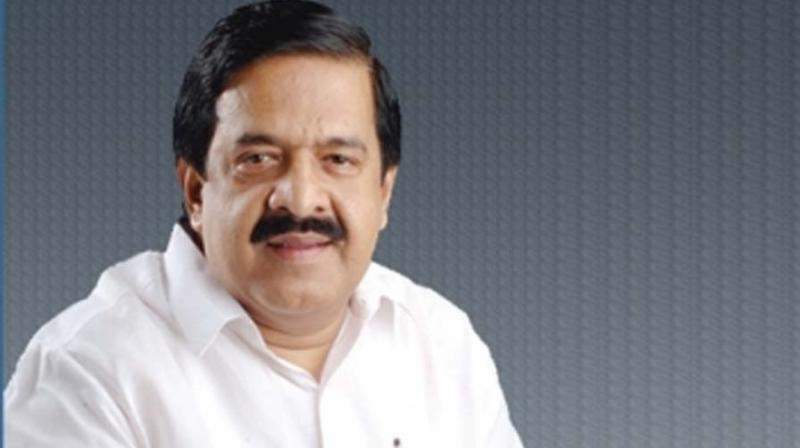 Former Home Minister and present Leader of Opposition Ramesh Chennithala blamed Chief Minister Pinarayi Vijayan for the lack of outcome of the case. "Soon after the kidnap episode, Vijayan at a public meeting passed the judgment that there is no conspiracy," Chennithala said, adding that it led to the case remaining unsolved for so long. He said Vijayan's public statement was why even after so long so many versions exist about what happened, "with the truth still not coming out". Chennithala was responding to Malayalam superstar Dileep. The actor on Monday alleged that certain sections of the media were trying to malign his reputation by linking him to the abduction case. He said he was prepared to undergo narco analysis and brain mapping to prove his innocence. The Congress leader hoped that the Association of Malayalam Movie Artistes (AMMA) would break its silence on the issue. As AMMA will hold a two-day meeting in Kochi from Wednesday, Chennithala hoped the issue would be raised in it. "I feel they will certainly take up this issue at their meeting," he said. AMMA, however, has maintained a stoic silence on the issue. In the past few days, the case has taken twists and turns. On Sunday the police arrested two persons for blackmailing Dileep and his friend actor-director Nadir Shah. One of the two, Vishnu, was alleged to have threatened Dileep and Shah to cough up Rs 1.50 crore or else he would reveal their role in the kidnap conspiracy. Vishnu also alleged that Dileep and Shah have been offered Rs 2 crore by some others in the Malayalam film industry in the kidnap case. In another twist to the case, National Award winning actor Salim Kumar demanded that the victim-actress should undergo the narco analysis test to put all speculations to rest. Later on Tuesday, Kumar apologised for his statement made on his Facebook post. Kumar was forced to withdraw it after the Malayalam film actress association 'Women in Cinema Collective' in their Facebook post said they would deal "strongly" with anything that affected the morale of their members. The new film body is the brainchild of hugely popular actress Manju Warrier, the former wife of Dileep, and sources in the know of things say that the group would raise this issue at the AMMA meeting.